The Twix is a much loved candy bar. So much flavour. So much good flavour. Now, what if I told you I made up a recipe. Very loosely adapted (and that was only the base) from someone else but essentially my own idea which I would like to think as revolutionary without tooting my own horn. But what features in this recipe is too much like a brownie to be a blondie. It is dense, it is fudgy and it is very, very chocolate-y. On its own, without its additional armour. But problem – it is white. It is a hybrid. Something that came out of the apocalyptic food world. A mutated brownie. A whitie. And that is that. It is here to stay. Good luck trying to get rid of it. Because you won’t want to. Soft, fudgy, a crackly top so reminiscent of that dark and decadent delight, this is a completely whole new thing. Everything is the same, it is just white. And remember. It is not a blondie. If your ears perked up them, I think your jaw has dropped by now. But wait because it gets even better. That base idea was from the goddess of the foodie world, Smitten Kitchen. After overhauling that, I went on. I couldn’t stop. The whitie had taken control over me. And then things got out of hand. And this is where Twix enters in a dazzling flash of light and a red carpet. 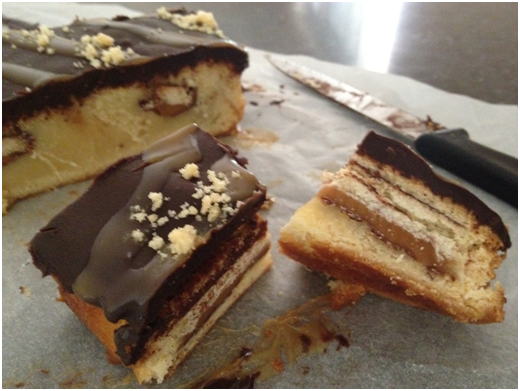 Imagine a layer of Twix packed in between two thick chunks of fudgy whitie. Imagine if that was not the only Twix type in the whitie. Ok, now your eyes are bulging, seriously I can see them from the thousands of kilometres I am sitting from most of you. Get yourselves together people, I am coming to the finally bit – and you don’t want to get shocked. 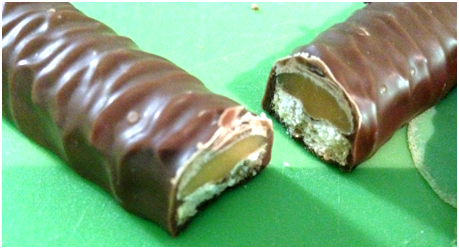 Second type of Twix – a Twix coating on the whities. First a dark and rich ganache. Chocolate and cream melding together. 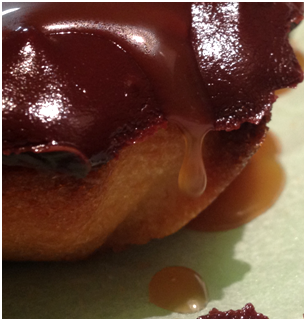 Then some piping (not into the mouth, onto the ganache) of caramel sauce (homemade is best – link below ;)) and then a sprinkling of shortbread biscuit crumbs to hype up the mood. Enjoy my friends the revolutions of foodie world! Make ganache recipe. Let sit for 5 minutes before pouring on top of lukewarm whities – spread to all corners. Refrigerate, uncovered. I promise to update this post tomorrow with some better photos with natural lighting, all cut up and ready to be taken away (saving a couple I assure you :D) – Good night my friends! OMG OMG OMG OMG, THESE WERE SO BEAUTIFUL INSIDE! Absolutely gorgeous! I highly recommend cutting them with a sharp knife dipped in hot water and wiped clean because these are the fudgiest brownies – no, whities – I have ever had to cut! I love Twix!! I dare say my favourite chocolate bar. These must have been soooo much fun to eat! Thanks for the great recipe. Oh, you’re killing me–I would not be able to stay away from this, since Twix is my favorite candy bar! The problem is that I want a piece of this. Right. now. Thanks for liking this so much – Twix is the best!!! I thought your 3 chocolate baked items post earlier would put me in a sugar coma…now I’m thinking this recipe is going to do it for sure. How yummy do these look? I have no words. If you are a Twix lover you will fall in love! And I enjoyed your blog my friend! And it was my pleasure – can’t wait to see more! The Twix lovers in my family, and I, thank you very much. We will also hold you responsible for any weight gained as a result of over indulging in these. Just the photos took my breath away! I’ll bet they are wonderful! 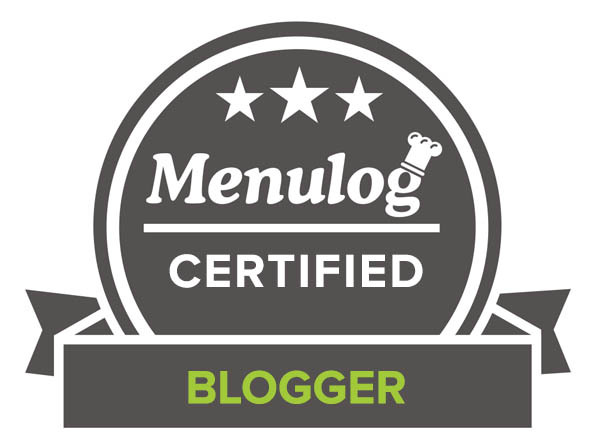 I know that I’m going to love following your blog! Thank you! Allen. my stomach hurts just from reading this. LOVE! these look amazing – i’m so impressed. i’ve seen desserts with peanut butter cups or oreos inside, but never with twix. what a fabulous idea! Oh wow these look incredibly dangerous if left too long in my house; I guarantee the entire pan would be gone by days end….I have a weekness for everything that is included in this recipe! Oh my these do look mighty Delish!!! Entertaining post as always! Wow! So seriously decadent 🙂 love a good twix! Or you can just have a junk day – we all need one now and again! Wow this looks amazing! I love Twix bars. I’ll be trying out this recipe soon! Choc Chip Uru, my ears perked up (in elfin magic form) during the first round of your post — then you added the updates, and my eyeballs joined in the fun (if it’s possible for eyeballs to be elfin shaped…) What a FABULOUS dessert! Your words have made my day!!! Too happy you enjoyed it so much! wow! these look dangerously good. Twix bars are probably one of my favorite candy bars of all time, so this recipe is definitely on my “to make as soon as possible” list. I would eat the whole pan for breakfast! This looks and sounds like a dream!! I need to start baking with more candy 🙂 Fabulous recipe, I love it! my ears did perk, jaw did drop & eyes definitely bulged… what a killer of a dessert this is! bookmarked! Oh. My. God. These look so tempting. You outdid yourself! I can’t stop coming back to this and drooling. I have to wait for when I have friends over though, if I make this now, I will eat it all myself! O.O my eyes just popped out! I can imagine how they melt in the mouth, so many chocolaty flavoures,.. heaven on earth! Reallly glad you enjoyed this post and thanks for stopping by! 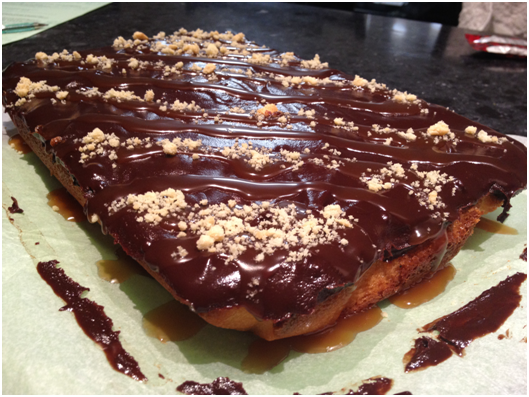 You got me with the ganache….. I am really happy you liked it as much as you have my friend – enjoy if you make these! And it sounds so cool to be on a tram in hk!!! Twix is definitely a star in this and I am glad you enjoyed it!!! OMG. my eyes were bulging!! And mouth watering… great recipe!! So happy you enjoyed it my friend! 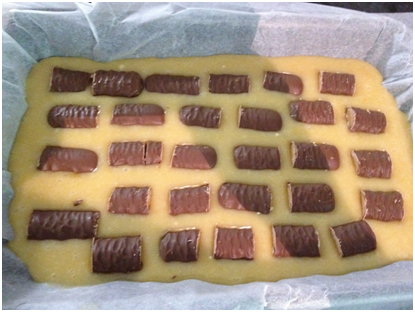 Looks incredible… I love twix!! Oh. MY. GOD! These sound incredible 🙂 I can’t wait to try making these!! I haven’t had a candy bar in years but this is ridiculously tempting. And it was a pleasure commenting on your site – wonderful recioes! You never cease to create delicious treats! Wish I can grab those right away! Oh em gee- This looks awesome. The only chocolate thing I have on hand today is a protein bar, and I now have the sudden urge to run to the vending machine and get a twix instead. So happy you liked this! Candy cookie blondie-its all good and very creative of you. Cooking something inside of another is tricky business, but it looks like you sailed through this without a hitch. Also, the birthday girl will be delighted seeing this, I know I would be. Enjoy the weekend! Hope you have a wonderful weekkend too my friend! I think I’ve gone into chocolate-overload (in a good way) just reading this post. 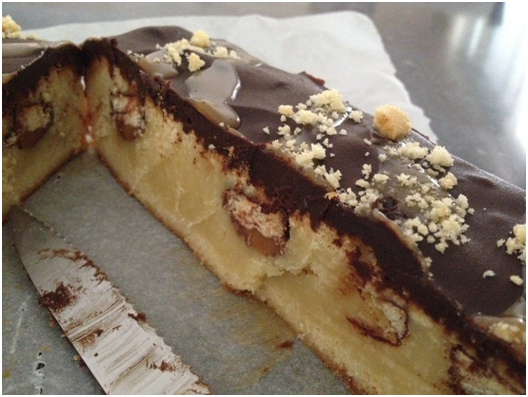 Love the step by step chocolate layered photos. Looks very yummy and I can’t say that I’ve seen this sort of recipe before so also very unique. I enjoyed looking at each of the pics until the finale and what a wonderful outcome I must say. Goodness this is superbly tempting even for someone like me who enjoy little slices of desserts. Nothing was wrong with the lighting as all the pics were clear and perfect just like the recipe. You simply out did yourself. These look divine. Oh dear god, this looks so delicious…I’m tearing up over here because I can’t have a piece right now. The mini Twix bar on my desk looks so sad it can’t be part of this yumminess. This tooooo delicious and what about all those calories? Oh, blow the diet! I am going to have to try making this. You did an awesome job! They look delicious. I love Twix (haven’t had one in a while though) and yours look inviting and appetizing. YUM!